Another find for our Fab Facets collection...and these facets are actually even named! 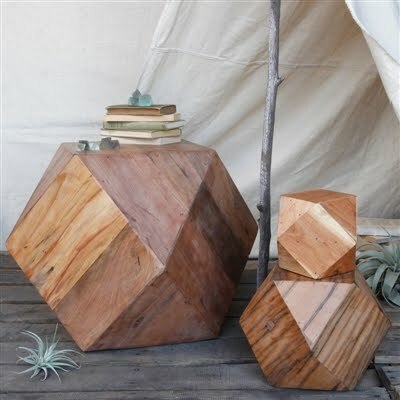 The Icosahedron Blocks by Areohome in Laguna Beach are actually just that, icosahedrons. What is that you ask, well icosahedrons are polyhedrons with 20 identical equilateral triangular faces and 30 edges. This particular geometic gem would look as good in a NYC loft as it would on your favorite geometry teacher's desk.